You may have hired a tax preparer from time to time – but a tax lawyer is different. Do you know how to tell when you should hire one? You make your best efforts every year to stay under the IRS’s radar. When you pay your taxes, you hope that’s it until the same time next year. But the IRS sometimes reaches out in a variety of situations, despite your efforts. Experts agree that a lawyer is the best way to work with the IRS in certain situations. But what exactly are those situations, and how can a lawyer help? You might be tempted to save money and go it alone – but this can be a big mistake. In this guide, we’ll show you exactly when and why you should get a tax attorney on your side. Keep reading to learn about what a tax lawyer in Saginaw, MI, can do for you! Offer in compromise is a program instituted by the Internal Revenue Service (IRS) for taxpayers who cannot pay the taxes they owe, or for taxpayers for whom it would create a financial hardship to pay the taxes they owe. An offer in compromise allows taxpayers to settle their tax bill for less than the full amount owed. When considering whether to allow a taxpayer to settle his bill with an offer in compromise, the IRS will look at the taxpayer’s unique circumstances, including their income, ability to pay, expenses, and any assets the taxpayers owes. Wondering if you’re eligible? Taxpayers can find out if they are eligible for this program by consulting the Offer in Compromise Pre-Qualifier questionnaire online. Communications with the IRS can be a challenge. If you get flustered or frustrated under pressure, or you’re not generally well-spoken, you might want an attorney to help you communicate with the organization effectively. Otherwise, relations with the IRS can quickly go downhill if you can’t communicate what you need to. If speaking assertively and clearly seems like a challenge, have a professional tax attorney do it for you. They can make phone calls, send out letters, write emails, and generally speak for you. They can also help explain confusing IRS communications to you in layperson’s terms. This will help the IRS and you understand each other better, so there aren’t further issues arising from confusion. No matter how organized and responsible you are, you might forget to file a tax return every once in a while. If you need to account for and file a missing return, you should get a lawyer to help you with the process. The IRS might also ask pointed questions about why those returns were never filed in past years. Your attorney can represent you and explain just what happened in those years to cause the delay in filing the returns. If the IRS sends you a CP notice, it typically means you owe the government some amount of money or there was an error on the return. However, it can be hard to read and understand these notices, so you might not even be sure just how much money you owe or why the changes are being made. If you’re not sure about how much you owe, or you don’t agree with the amount you’re being asked to pay, you should get an attorney. A tax lawyer will explain exactly what the notice says and can assist you with questioning the amount due if needed. When you’re starting a business, a lot of tax-related and money-related questions might come up. What kind of business entity is right for your needs? Do you plan to incorporate? Should you work as a sole proprietor? No matter what setup you choose, it will mean something for your taxes. 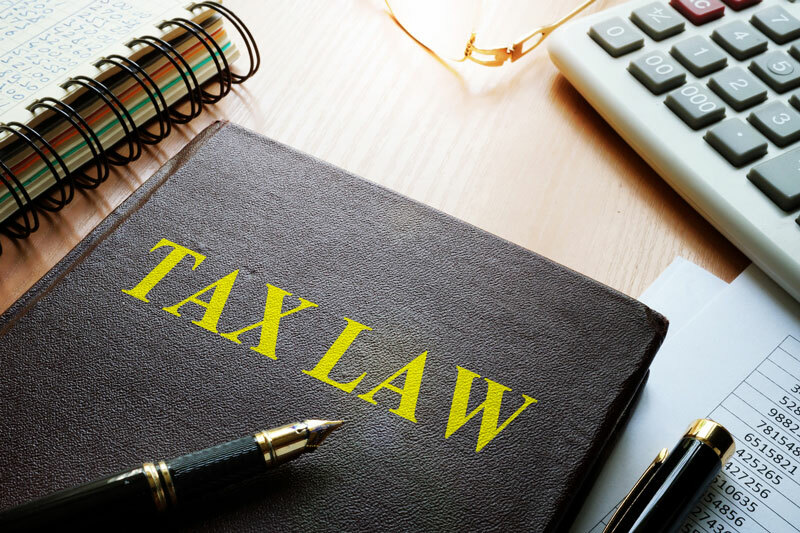 A tax lawyer can help you choose the best business structure for your needs, and can also help you navigate non-tax-related financial issues that you might not have thought of. They will even help you if you plan to work in international business and need help with tax treatment, contracts, and more. Ready to Hire a Tax Lawyer? From entrepreneurs to everyday taxpayers, everyone needs a tax lawyer from time to time. If you think a tax attorney might be able to help you, don’t wait – hire one today. You’ll feel less stressed and have a better outcome at the end of the day. Wondering if we’re the right tax attorneys for the job? Find out more about how we can help you here.